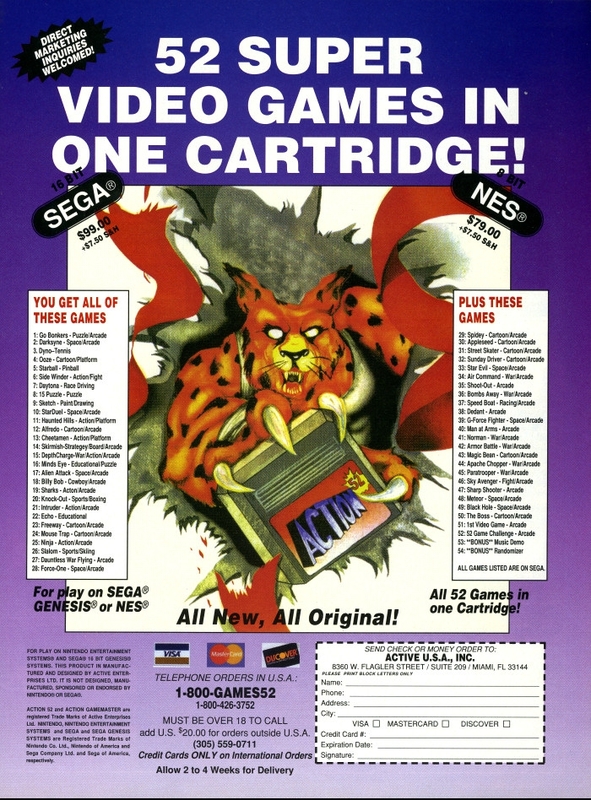 Action 52 is a multi-game catridges developed by Active Enterprises for the NES and FarSight Studios for the Mega Drive/Genesis. Sold for twice the price of a standard video game, Action 52 promised 52 awesome games. It delivered 52 hilarious bad games. Of course, it did bring us Cheetahmen, which is worth its weight in comedy gold.